Buying a world-class instrument is the dream of any budding musician studying at the Elder Conservatorium of Music. Unfortunately, for most, it’s also a daunting and near-impossible task. Such was the case for Bachelor of Music undergraduate Mae Napier-Traeger before the generosity of donors saw her become the custodian of the Koenig-Betcher violin last year. 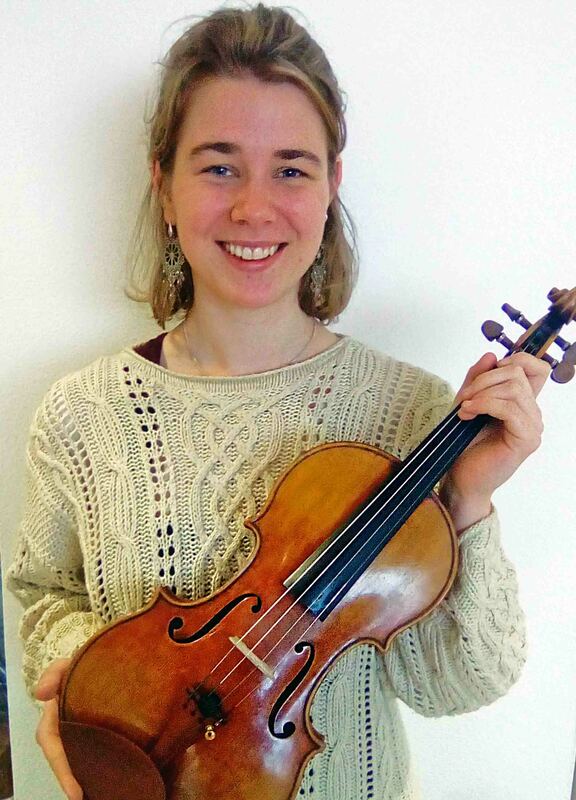 Mae was gifted the Koenig-Betcher, which is a copy based on 3D scans of the golden period Stradivari “Sancy” of 1703, for the final 18-months of her studies. Currently, she plays in two bands, including an Irish band where the techniques and styles stray far from those of her classical training. She also enjoys teaching violin to others. This entry was posted in Alumni eNews, Alumni Profiles, Donors and tagged alumni, Donors, elder conservatorium, Elder Conservatorium of Music, giving, music, philanthropy, student, University of Adelaide. Bookmark the permalink.